Many people who are due to have gall bladder surgery do not know what to expect when it comes to the side effects of this type of procedure or the recovery times required. Well, the first thing to remember is that this type of surgery can be carried out in one of two ways. Depending on the problem and a number of other factors, you may have to have open surgery for your gall bladder issue. Alternatively, you may be able to have the operation through keyhole surgery. The type of surgery you have will have an impact on the side effects as well as the recovery period. If you are having a gall bladder operation through the use of keyhole surgery, the procedure will be far less invasive and involved. 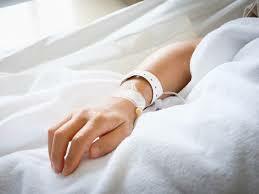 In fact, you should be able to go home on the day the procedure is carried out as long as there are no complications. In addition, the recovery period is much shorter than with open surgery. In general, you may be looking at around two weeks to recover from keyhole gall bladder surgery, after which time you can go back to your normal routine. 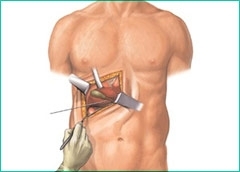 The other alternative is open surgery, which is a far more involved procedure. When you have this type of surgery, you will be kept in hospital for a number of days before you are allowed to be discharged and go home. The recovery period following on from this type of open surgery is generally around six to eight weeks, so you will be out of action for some time before you can resume normal activities and routines. If you have concerns about gall bladder surgery or you want to find out more information, you can get in touch with us today and speak to the best general surgeon in NYC. Contact us at 646-846-1136 to schedule an appointment.